Sought After Claywood Rd. 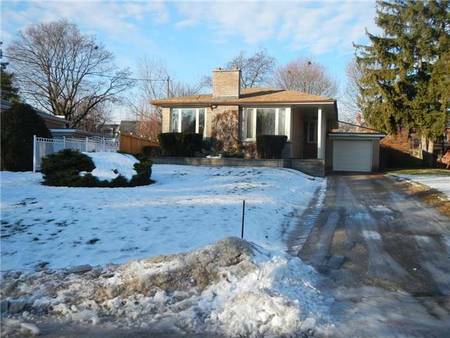 Fabulous, Super Convenient Location South Of Finch + Walk To Yonge St. Very Spacious + Bright With Pictures Windows And Large Principal Rooms, Country Size Eat-In Kitchen(Walk-Out), Formal Dining , 2-Brick Fireplaces, 3-Bedrooms Upstairs And Sizable Lower Level With Good Height, Finished Recreation Room(French Doors) And Very Large Above Ground Windows(Bright). Extras: All This+More On A Beautiful Lot(50 Front, 70 Back) With Parklike And Skyline View.Very Easy Access To Finch Bus,Senlac Bus Direct To Sheppard Subway Plus Walk To Finch Subway,Go Bus Station,Uptown North York & Steps To Edithvale Comm Ctr.